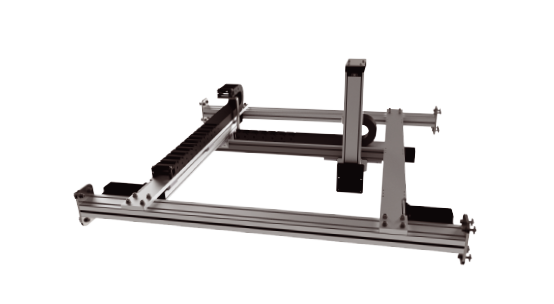 The GANTRY ROBOT series reflects the total and multi group experience tied at Dierre Robotics. The ergonomic design, robust and consolidated, put it into the better high performance machines market. The exact movements, the quickly positioning and the precision factor supported by CoordinAx movement system, matched with a rigid geometry allow most applications in various sector. The robot design, available in two sizes and two different types integrates a full-in solution for your automation. Gantry is available with only robot unit or complete machine due to the need of preferences.